My son, Nicholas, was in kindergarten that year. It was an exciting season for a six-year-old. She assured me there'd be a dress rehearsal the morning of the presentation. Santa Claus, snowflakes and good cheer. When my son's class rose to sing, "Christmas Love," I was slightly taken aback by its bold title. Nicholas was aglow, as were all of his classmates, adorned in their best for the show. to spell out the title of the song. a small, quiet, girl in the front row holding the letter "M" upside down! She was totally unaware her letter "M" appeared as a "W."
But she had no idea they were laughing at her, so she stood tall, proudly holding her "W."
the last letter was raised, and we all saw it together. and why we celebrated the holiday in the first place. Why even in the chaos, there was a purpose for our festivities. May each of you have a Merry Christmas as you reflect on His Amazing Love for us. Maybe your life resembles a Bethlehem stable. Crude in some spots, smelly in others. Not much glamour. the holes you just can’t seem to fix. You’ve shivered through your share of cold nights. And you wonder if God has a place for a person like you. Find your answers in the Bethlehem stable. 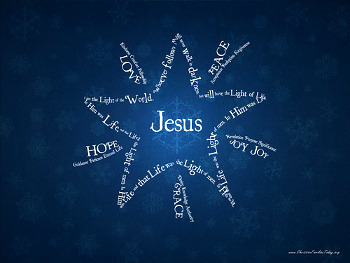 The story of Christmas is the story of God’s relentless love for us. there is no place he will not go. No place is too common. No person is too hardened. There is no person he cannot reach. There is no limit to his love!